Jockey Women Undershirts is the perfect lightweight camisole for layering. If you're looking for a fashionable tanktop, Jockey Women's Undershirts got a selection that we think you will love. Stock up on 100% cotton multi-packs, silky smooth camisoles and colorful tees. Plus, with relaxed and tailored designs, you're sure to find the perfect fit. 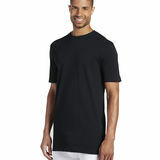 These undershirts are soft, versatile and fit so well. Plus it comes in a number of styles, so it gives you a number of options to choose from. Jockey Women's Undershirts has a pleasing colors, very soft, very comfy. These undershirts has the softest material ever. This is comfortable to sleep in or wear as an undershirt. This is the perfect cami for layering underneath a cardigan or a jacket. You'll get long lasting comfort and feel great when you wear an undershirt from Jockey.